I custom design announcements for soon-to-be brides who want their wedding to reflect their personality and style. And then when life brings children and parties and events I'll be there to help you Celebrate, Remember and Announce all those special times. I work one on one with you personally and have years of designs to show you. When you find one you love, I'll customize it for you. Or I'll start from scratch and design something in your colors and with your style. My work is personal and I love to help you find just the right look for your wedding. 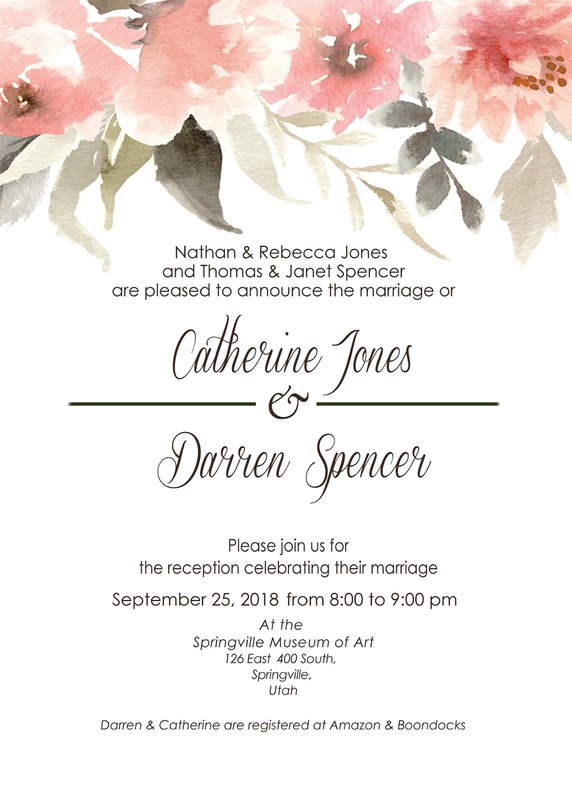 So give me a call or send me a text (801.669.1777) and let's get started on your announcements, invitations, inserts, and oh, yes, your wedding signing book! Don't forget these great books that I create with your engagement and bridal photos. 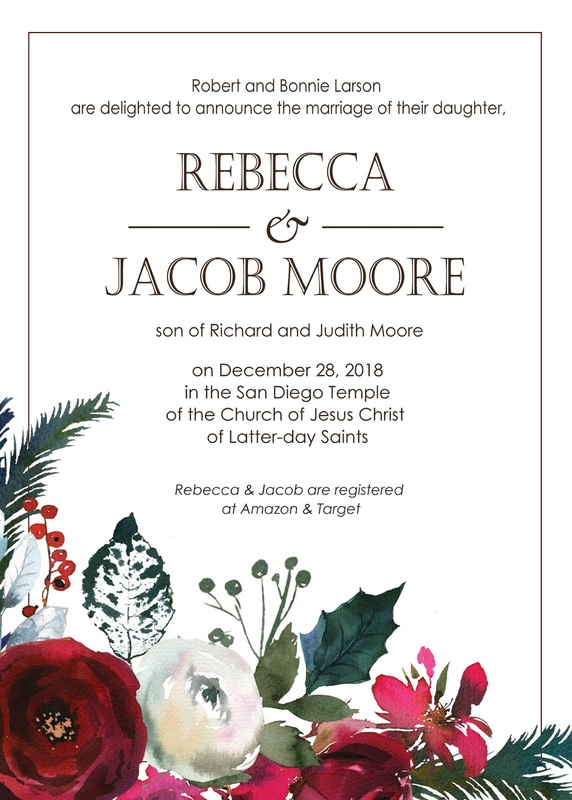 Check out the pages on the top of this screen for my wedding designs and look at the left hand side columns to see what I've been doing lately. 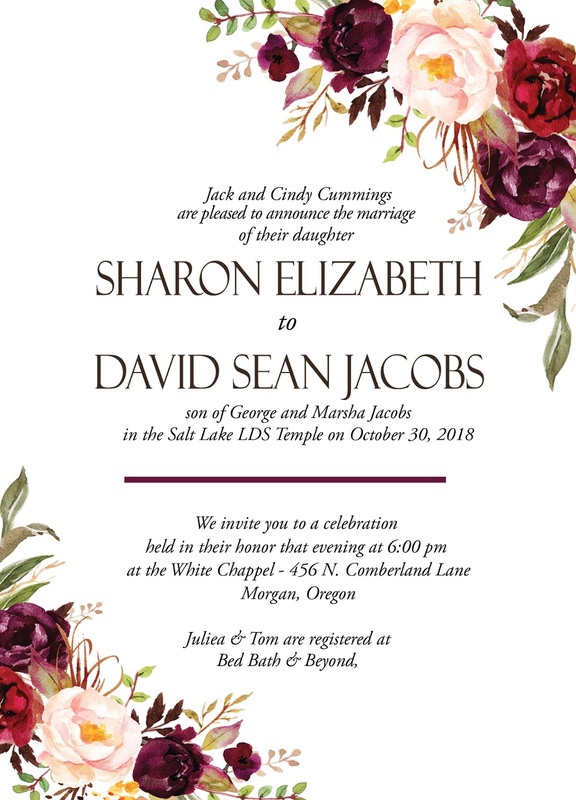 Elizabeth recently designed wedding invitations, and a sign-in book for my daughter's wedding reception. She has great ideas and was so helpful with advice on wording, photo placement, etc. while making sure to be sensitive to my daughter's vision of what she wanted. She went to extra lengths to include wonderful quotes about marriage and relationships which added so much to the book! She is easy to work with, is so talented and has a wonderful "artists eye" and we are very pleased with the results! I highly recommend her work!